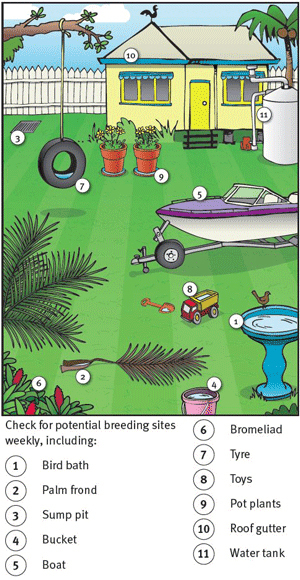 The checklist below provides measures you can take to ensure that your backyard is not breeding mosquitoes. Controlling mosquitoes at your home lies with YOU. Council has a program for controlling mosquito breeding on State and council owned land, but private residences must take measures to ensure that mosquito breeding does not take place in their backyards. Mosquitoes breed in water so by removing pools of waste water around your home you can prevent mosquitoes from breeding. Inspect your house and yard for pools of accumulated water. Empty these. Put sand around the bases of pot plants to absorb water in the dish. For outdoor pot plants you could dispose of the dish altogether. Dispose of all tins, jars, tyres and other rubbish items that may hold water. Empty all flower vases, pot plants, and other receptacles that hold water. Thoroughly wipe the inside of containers with a cloth to remove mosquito eggs. Destroy the cloth after use by burning or placing in the bin. Do not wash the cloth as it will spread the eggs. Use a high pressure spray from a garden hose to kill mosquito larvae which breeds in plants, such as bromeliads, that hold pools of water. 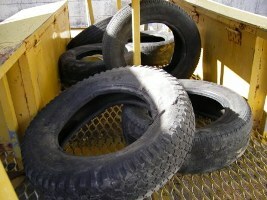 Drill holes in tyres used for swings and garden surrounds to allow water to drain from them. Fill in any water holding cavities in trees, hollows, depression and holes in the yard with soil or cement. Remove leaves and debris from gutters and ensure they are in good repair so that the pools of water do not form, especially in depressed areas. 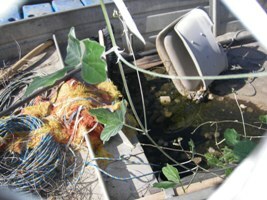 Overturn boats, canoes and dinghies or remove the drain plug so that they do not hold water after rain. Screen all openings to tanks, wells or other large water containers with wire gauze no coarser than 1mm mesh. This prevents mosquitoes from laying eggs. Cut back and trim trees to prevent leaves and debris from blocking roof guttering. Dispose of waste water in such a way that does not create ponds. Stock fish ponds and ornamental ponds with fish. Goldfish and native Australian fish are recommended. Keep the side of ponds clear from water weeds so the fish can get to the larvae. Stock dams on your property with native fish and keep the sides clear of water plants. The Department of Primary Industries can recommend which species of fish to use. Ensure swimming pools are chlorinated or salted. If your pool is to be neglected for a period of time, for any reason, arrange for someone to maintain your pool. Empty children's wading pools after use and clean thoroughly with a cloth to remove mosquito eggs. Cap brick walls made of cavity bricks to prevent water from pooling in the walls. Empty bird baths and pet drinking water at least once a week and clean containers thoroughly to remove eggs. Ensure open drains and channels are free from obstructions, especially weeds, grass, and other debris. 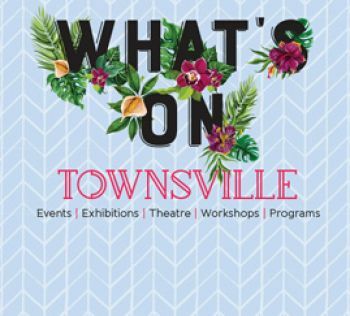 For more information, please contact Environmental Health Services on 13 48 10.